Hoppity Hop | Mrs. Anton's Class! We have been working on a mini theme about rabbits! On Friday we managed to make 3 different bunnies! We began our project by learning about the characteristics of real rabbits and then we compared that to the characteristics of the Easter Bunny! Then we completed a cloze to make a big bunny! We also made standup bunnies with our Big Buddy class. The bunnies even had baskets! Both groups really seemed to enjoy the activity! Wish that I had remembered to take pictures of them in action! 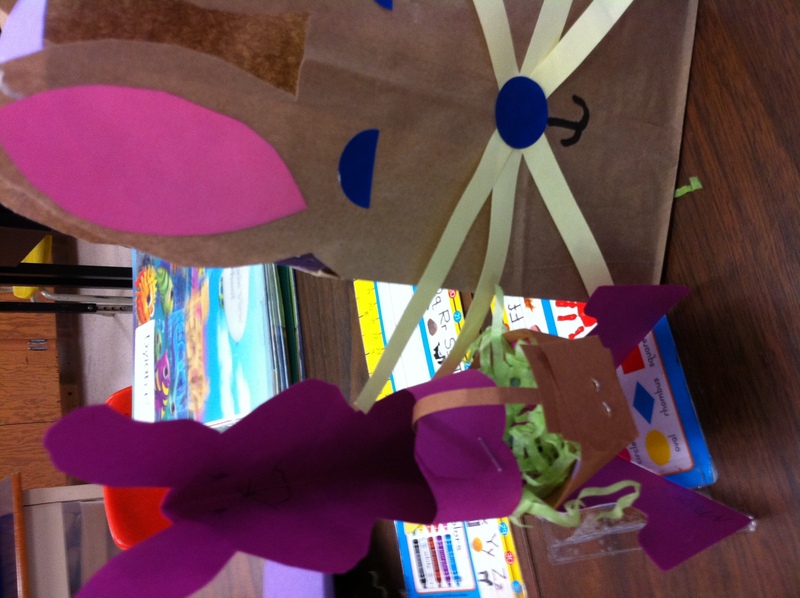 We finished up with making Bunny baskets. 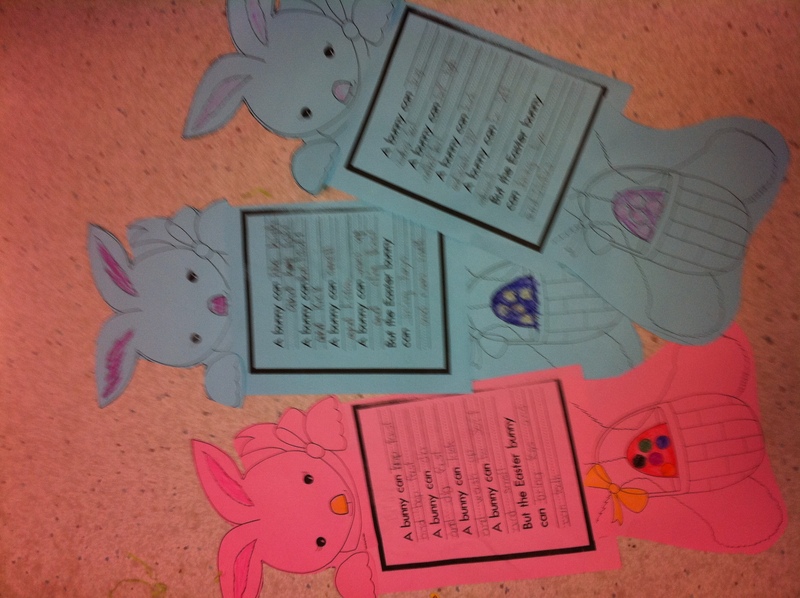 We are hoping that the Easter bunny stops by with some treats for our baskets! Hoppity Hop!